As you know I have spent the last month cooking and baking 10 recipes from Sunday Dinner at Grandma's thanks to Gooseberry Patch and their "In the Kitchen" series with The Real Farmwives of America and Friends. I can't believe how fast the past month has gone and that my 10 recipes have already come and gone. We had a lot of fun trying out these new recipes and still have more than a few that we would like to try out soon. And now the best part of all of this is not only did Gooseberry Patch give me one copy to cook and bake from over the last month, but they also gave me an extra copy of Sunday Dinner at Grandma's to giveaway to one of my lucky readers. Big Thanks to Gooseberry Patch!!!!! 10. 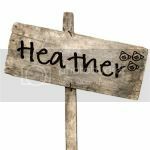 Comment on Gooseberry Patch's Blog or Facebook Page and tell them Heather from 3 kids and lots of pigs sent you. 12. Tweet about this contest and include @proudporkmom, @realfarmwives, and @gooseberrypatch in your tweet. 14. Share this giveaway on your Facebook page and tag 3 kids and lots of pigs, The Real Farmwives of America and Friends, and Gooseberry Patch in your post. Contest ends 9PM EDT on June 26th and the winner will be selected at random. The winner must live in the continental U.S. I follow Gooseberry on FB. I follow Farmwives on Facebook too. I get Gooseberry's email as well. Thx for all the great recipes! I follow the Real Farmwives of American on facebook. I follow the Real Farmwives of America on twitter! I follow the Real Farmwives of America on google friends! I have "liked" Real Farmwives of America. I am a member of the Gooseberry Patch Circle of Friends Email Club. I have "liked" Gooseberry Patch on Facebook. I am following you on the Google community :)enter me in the cookbook giveaway so i can cook like gramma! I am following Three Kids and alot of Pigs on Twitter! Another entry for the GBP cookbook please! I have subscribed to Three Kids and alot of Pigs through email and am lookingforward to reading about you there. Another entry for the GBP SNAG (sunday night at grammas! I already follow the Real Farmwives of American and friends, when they had a giveaway! of a GBP book. I follow GBP on Twitter for awhile now! Another entry for the cookbook giveaway! yay! I subscribe to GBP through email, for about a month now! Thank you for anothe entry! Please enter me for the GBP giveaway of Sunday Night at Grandmas, i really really want it thank you! I am a facebook fan of The Real Farmwives of America and Friends on Facebook. I subscribe to emails from Gooseberry Patch. commented on gooseberry patch wall and said you sent me! I follow 3 kids and lots of pigs through Google Friend Connect (GFC). I am a Gooseberry patch circle of friends member. I follow 3 kids and lots of pigs with GFC. I am part of 3 kids and lots of pigs FB community. I follow The Real Farmwives on GFC. I "like" The "Wives" on Facebook. I commented on Gooseberry's Facebook page that you sent me. I am part of GP's Circle of Friends. I shared this giveaway on my Facebook page and tagged all three - GP, "Wives" and 3 kids and lots of pigs. I follow The Real Farmwives of America and Friends through GFC. I "Like" The Real Farmwives of America and Friends on Facebook. I've joined the Gooseberry Patch Circle of Friends email club. I like The Real Farmwives of America and Friends on Facebook. I comment on Gooseberry Patch's Facebook Page and told them you sent me. I follow @gooseberrypatch on Twitter. I join the Gooseberry Patch Circle of Friends email club. I joined your Facebook Community. I follow @proudporkmom on Twitter. I subscribe to 3 kids & lots of pigs via email. I follow The Real Farm Wives of America through GFC. I follow @realfarmwives on Twitter. I already "liked" Gooseberry Patch on Facebook. I commented on Gooseberry Patch's Facebook Page and told them 3 kids and lots of pigs sent me. I joined the Gooseberry Patch Circle of Friends email club. I am a follower and joined GBP on facebook. I follow you guys and Gooseberry on Facebook! I subscribe to your feed via Google! I commented on Gooseberry's Facebook page. I tweeted about this great giveaway...711mum! I would love to win the cookbook. I can't wait to try the two bread recipes you posted. I liked you ob FB as sarah linette. I am your 250th "like" actually! Congrats. Comment on Gooseberry FB you sent me! I shared this link on facebook as well! Thanks for the many opportunities to win Heather! :) I love reading your posts. Follow you on e-mail and FB Member of Circle of Friends at Gooseberry . Just about got it all. Love your blog ! I am friends with Farm wives of America & GP on facebook. Shared link on my facebook page. I have subscribed to you via e-mail! I have subscribed to your feed!